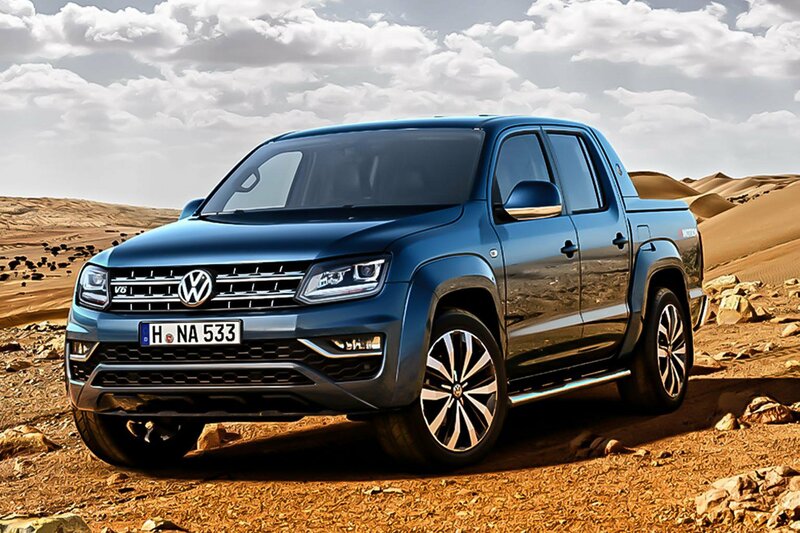 Facelifted Volkswagen Amarok pick-up truck revealed | What Car? 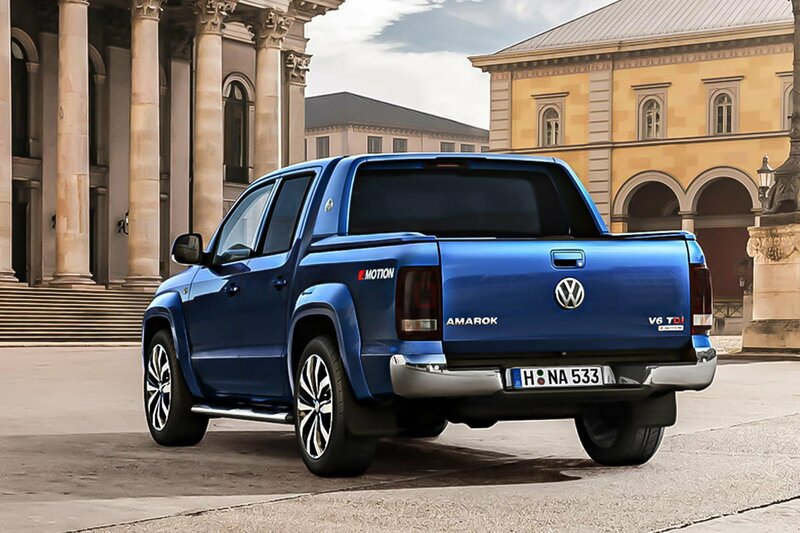 The facelifted Volkswagen Amarok pick-up truck has been revealed and will go on sale in the UK this September. At the heart of the new pick-up is a 3.0-litre V6 diesel engine, which is available in 161bhp, 201bhp and 221bhp forms. By comparison, the old Amarok was available with a 2.0-litre diesel engine with a maximum of 161bhp. In all its forms, Volkswagen says the new V6 engine complies with Euro 6 emissions standards, and in its lowest-powered form should be capable of returning around 37mpg. Buyers can opt for a manual gearbox or an eight-speed automatic, and the Amarok will be available in both rear-wheel drive and four-wheel drive forms. Volkswagen says the updated Amarok keeps its place as a premium pick-up truck, and receives new comfort features including 14-way adjustable seats, an improved climate control set-up, paddle-shift options for the steering wheel and 20in alloy wheels. The equipment list now includes a rear-facing camera, while the Amarok's touchscreen infotainment set-up has also been upgraded. Post-collision braking is also now included. Despite minor changes in styling over the previous Amarok – including a new front bumper – the new model's dimensions haven't changed. It remains 5.25 meters long and 2.23 meters wide. Future variants of the car will be able to tow loads of up to 3.5 tonnes. The Amarok is a rival for the likes of the Nissan Navara and Mitsubishi L200, and while VW has yet to reveal official pricing, it's likely to cost more than the current Amarok, which starts at £20,930.